‘Hier ist der Welt noch in Ordnung‘ is a German phrase I’ve come to know and love. The literal translation is ‘Here the world is still in order’. My husband usually says it whenever we drive through a charming little village in the Bavarian countryside. 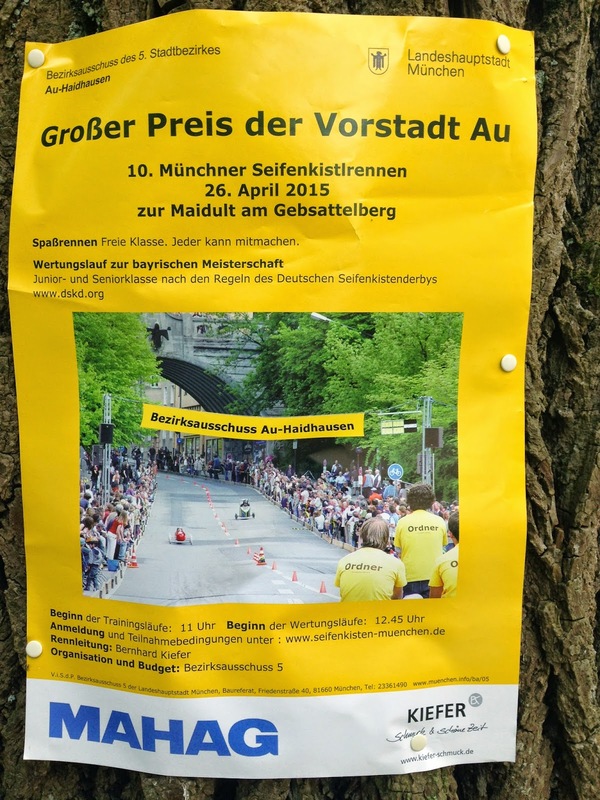 I think it to myself a lot living in Munich. The things the make the world “in Ordnung”(to my mind, anyway) include a spirit of community, simple pleasures that don’t involved the distractions of modern life and a keeping of the old traditions. 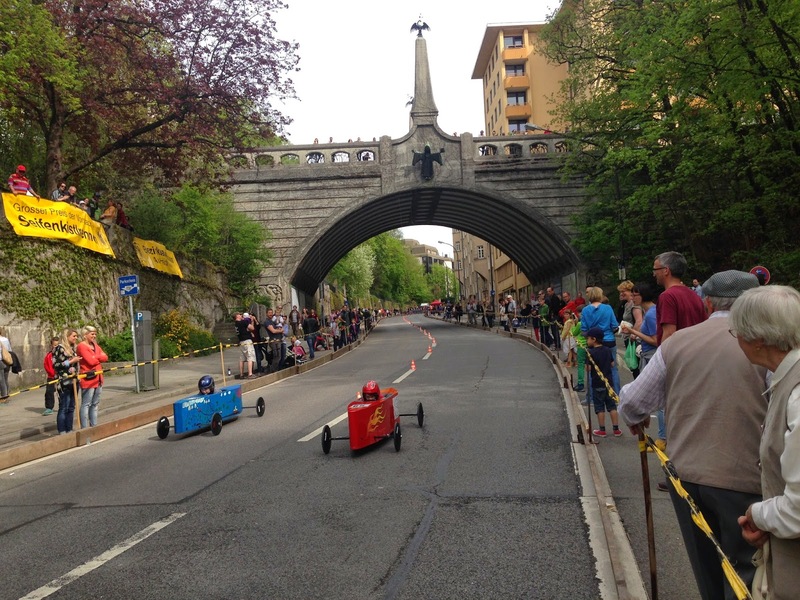 The annual Seifenkistenrennen (soapbox race) that takes place during the Mai Dult at Mariahilfsplatz is one such occasion. 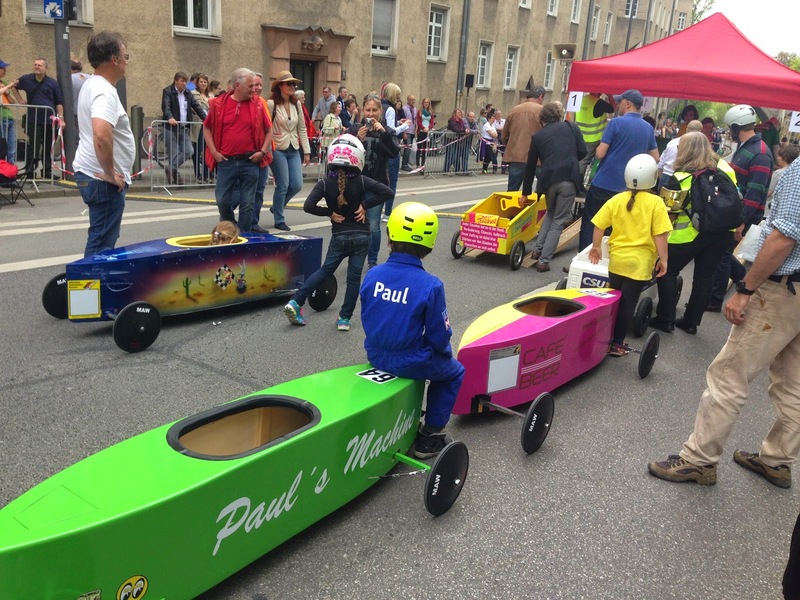 It’s a soapbox race that includes kids, parents, neighborhood old folks, as well as business establishments and local authorities. 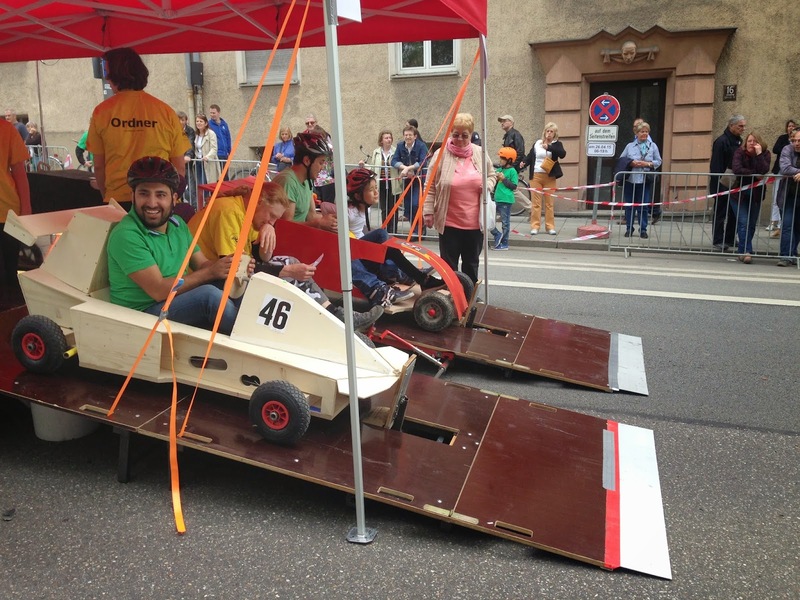 The participants all race with their own, hand built soap boxes. There are age divisions and an MC. As I watch everyone cheer and clap for their friends and neighbors as they race down the hill, while I eat handmade potato chips from a paper cone and sip coke through a straw, I feel like I’m in a Munich version of the Andy Griffith Show. These quaint pleasures within a large city are what makes Munich so special to me. In Ordnung indeed.